U.S. Congress escalates its reactions and increases pressure on Turkey, in order to force to cancel the purchase of the anti-aircraft Russian S-400 system. Four U.S. senators introduced on March 28 a bipartisan bill to prohibit the transfer of F-35s to Turkey, until the U.S. government certifies that the Turkish government will not cancel the purchase of the S-400 system. At the same time, 26 members of the U.S. House of Representatives co-signed a letter to the Chairwoman of the House Appropriations Committee Nita Lowey and the Ranking Member Harold Rogers, urging them to include tough language in the 2020 State, Foreign Operations, and Related Programs Appropriations Bill, concerning the delivery of F-35 jets to the Republic of Turkey. Among the signatories are, Congressmen John Sarbanes, Gus Bilirakis, Carolyn Maloney, Frank Pallone, Steve King, David Cicciline etc. Turkey ignored the Congressional pressure and the following day, during a meeting with his Russian counterpart, Sergei Lavrov, Turkish Foreign Minister Mevlut Cavusoglu said that his country will proceed with the deal. “We have agreed with Russia in the end and signed an agreement. This agreement is valid [and] we are discussing when the delivery will be,” Cavusoglu told reporters on March 29. “This agreement is a done deal,” he added. He also said Ankara did not plan to sell the S-400 to other parties. Cavusoglu said Turkey had been receiving contradictory statements from the United States, adding that Ankara had met all its obligations related to the F-35s. Senators James Lankford (R-OK), Jeanne Shaheen (D-NH), Thom Tillis (R-NC), and Chris Van Hollen (D-MD) introduced a bill to prohibit the transfer of F-35 Joint Strike Fighter aircraft to Turkey until our government certifies that Turkey will not accept delivery of Russia’s S-400 air defense system. Under the US-led, multinational Joint Strike Fighter program, Turkey was expected to accept delivery of the F-35 next fall. “As a member of NATO, Turkey must not undermine the security of the United States and our allies. Operating the Russian S-400 missile defense system alongside the F-35 aircraft would do exactly that, and we cannot allow that to happen. This bipartisan legislation would draw a hard line in the sand and protect vital national security interests, and the Senate should consider it without delay,” said Senator Van Hollen, who has authored similar provisions on both the Defense and State and Foreign Operations Appropriations bills. Last year, Lankford, Shaheen, and Tillis introduced a similar bill to stop the transfer of fighter aircraft to Turkey their government committed a number human rights violations, including the unjust imprisonment of an American pastor Andrew Brunson. Pastor Brunson was released in October 2018 after being detained for two years. A version of the bill was included as an amendment in the FY2019 National Defense Authorization Act (NDAA) directing the Secretary of Defense to submit a plan to Congress to remove Turkey from participation in the F-35 program. 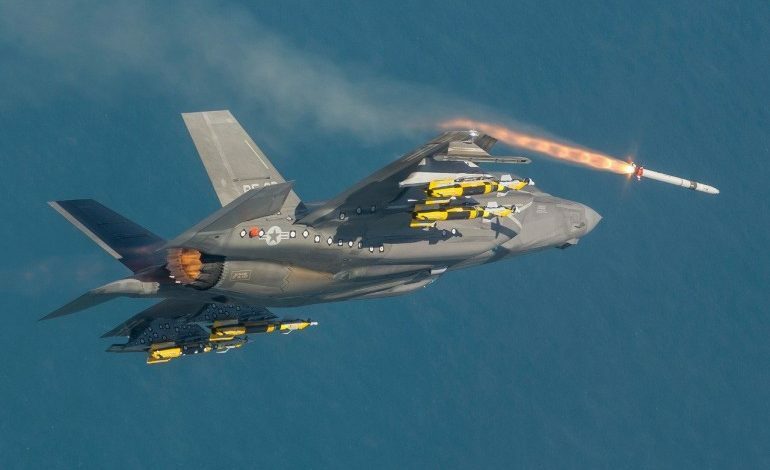 As you begin work on the fiscal year 2020 State, Foreign Operations, and Related Programs Appropriations Bill, we urge you to include language concerning the delivery of F-35 Lightning II jets to the Republic of Turkey. Under President Recep Tayyip Erdogan, Turkey has acted in a manner inconsistent with its responsibilities as a NATO member and ally of the United States. Our foremost concern is Turkey’s planned purchase of the Russian S-400 surface-to-air missile system. The integration of the Russian S-400 system into NATO military defense systems would threaten exposure of closely guarded U.S. and NATO military secrets – including about the F-35, our most advanced stealth fighter jet. Despite warnings from the United States and NATO, Turkey has pressed ahead with its plans to purchase the Russian system. Furthermore, Turkey continues to threaten U.S. interests and allies in the region, including U.S. forces in Syria, Kurdish YPG forces, Greece, Israel and Cyprus. Turkey has veered further towards autocracy under President Erdogan, arresting hundreds of thousands of citizens and relentlessly attacking the free press, civil service and independent judiciary. President Erdogan’s security forces even assaulted peaceful protestors in Washington, D.C. in May 2017. This assault was an affront to the core beliefs and freedoms that undergird our democracy. For these and other reasons, we have no confidence that Turkey will use F-35 jets responsibly. RESTRICTION ON FUNDS.-None of the funds appropriated or otherwise made available by this Act and prior Acts making appropriations for the Department of State, foreign operations, and related programs, may be made available to transfer or deliver, or to facilitate the transfer or delivery of, F-35 aircraft to Turkey, including any defense articles or services related to such aircraft, until the Secretary of State certifies to the appropriate congressional committees that the Government of Turkey is not purchasing the S-400 missile defense system from Russia and will not accept the delivery of such system. Turkey continues to behave in an unacceptable manner for a NATO member and U.S. ally, threatening our interests in the region and the rule of law domestically. It’s growing ties to the Russian Federation and planned purchase of the S-400 system are a grave concern for the United States and require a meaningful response. We urge you to include the language above and thank you for your consideration of our request.